Having a bare-bodied vehicle is one thing and ensuring that it is fully fitted with the best of spare parts is another thing. As far as China is concerned, there is a huge market for automobiles of all types. It is undoubtedly one of the biggest markets for all sizes, makes and models of automobiles. Hence, it is not surprising that there are thousands of suppliers of spare parts who are directly linked to the entire automotive manufacture growth story of China. If you look around and do a research you will most certainly come across scores of such ancillary industries and companies like Loximold have been able to make their presence quite strongly. Let us try and see the kind of services and products these kind of companies offer to the mainstream makers of automobiles in China. We would like to point out here that China is one of the biggest manufacturing hubs of cars in the world. The day may not be far off when it might leave behind countries like USA and Japan and Europe behind. Hence, there is a growing and steady demand for China automotive parts. Companies such as Loximold are able to succeed because they are able to cater to the huge and ever growing demand for spare parts from the ever growing Chinese automobile market. The list of spare parts which these companies are able to manufacture is quite huge and it would not be possible to cover each and every one of them. But there is no doubt that they are able to keep pace with the demand and are an indispensable spoke in the entire automobile industry of China. We will try and have a look at the kind of spare parts which emanate from the stables of companies such as Loximold. Though they might just be 350 grams in weight, there is no doubt that it forms one of the most important spare parts for car window and they are required by the thousands from many car manufacturers. They need to be made to exacting standards in terms of material, sizes, thickness, and other attributes. It is quite obvious that these companies who are part of the important ancillary industries are able to make the best response to it at all points of time. of the best China mold suppliers. They are experts when it comes to making perfect prototypes and then sending it to a number of small scale manufacturers downstream. We need to bear in mind that these molds need to be perfect and there is no room for any error whatsoever. The verification of the entire mold making process and design attributes is highly critical and only those with the right experience and expertise will be in a position to do a good job of it. 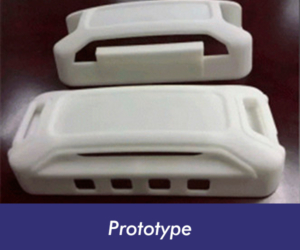 They are also experts in having the right prototype parts and then discussing the same with customers so that there is perfect match between needs and requirements. and software and application driven process. This is again a highly critical and technology-oriented area where only companies like Loximold would be able to handle it with accuracy and perfection. The designing and engineering also needs to take into account a few more important factors. Selection of the right materials and checking it for tolerance limits is also extremely important. This also requires working with information age technologies and making use of the best mold making processes and methods. Finally it would be interesting to have a closer look at the actual mold making processes. 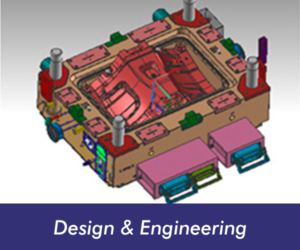 Mold making is not just about having the best of processes, technologies and materials and software systems. This has to be backed by experienced, skilled and highly motivated staff and human resources. They should also be cost effective because at the end of the day the spare parts they make will have to fight international competition. In such situations also, it would be pertinent to mention here that companies like Loximold stand head and shoulders above most other competitors and manufacturers, designers and engineers of such molds.